Receive 10% off your canvas print order. Make your dad feel like a hero this Father’s Day, a day which has been celebrated for over 100 years. It is a time to recognise the fathers and father figures in all our lives. Be creative instead of traditional. Store bought gifts like ties, jocks and socks can become quite boring. Why not create a personalised tribute like a beautiful canvas print of an image that your father has admired and that will leave a lasting impression. A Canvas image, professionally printed and stretched and ready to be hung by Bond Imaging is of the highest quality. This is the perfect occasion to give an original gift which will be seen & cherished forever. 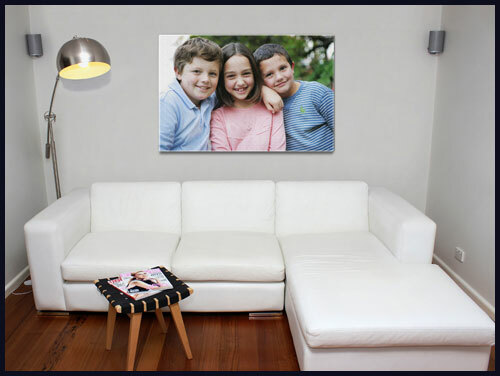 Inkjet Canvas Prints are printed on a superior inkjet printer, on high quality stock using environmentally safe eco-solvent inks, then stretched and wrapped around a solid wooden frame. All mounted prints come ready to hang. Use promocode ‘fathersday‘ in ‘Special Instructions’ during ordering and receive 10% off your canvas print order.